The District Five Caucus was held at 7:00 p.m. on Tuesday, April 2 at the Helga Community Center. The purpose of the caucus meeting is to nominate a director candidate or candidates to represent the district on the Paul Bunyan Communications Board of Directors. As a result of the District 5 Caucus, Randy Frisk has been re-elected Director District 5 with the term expiring in the year 2024. 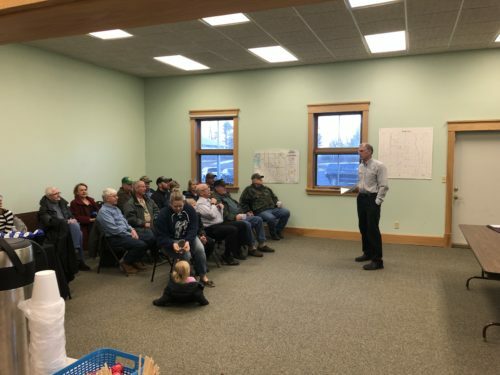 In addition to being an opportunity to nominate persons to represent District 5, the caucus meeting was an opportunity for members to ask questions concerning the Cooperative. The meeting was attended by several managers/supervisors, including CEO/General Manager Gary Johnson.